A Purchaser’s Privilege of 1.0 % (no vat) of the agreed purchase is payable by the purchaser upon completion in addition to the purchase price. FIRST TIME ON OPEN MARKET. An incredible opportunity. Exceptionally rare and secluded yet highly convenient multi-use, multi-opportunity Private Estate around 5.75 acres comprising 3 bedroom home of potential approaching 1900 sq.ft., with gardens and pastureland; brownfield site areas comprising commercial yard and paddock; potential building plot subject to planning; all off a long driveway onto substantial parking area. Additional two, winter specification static homes. 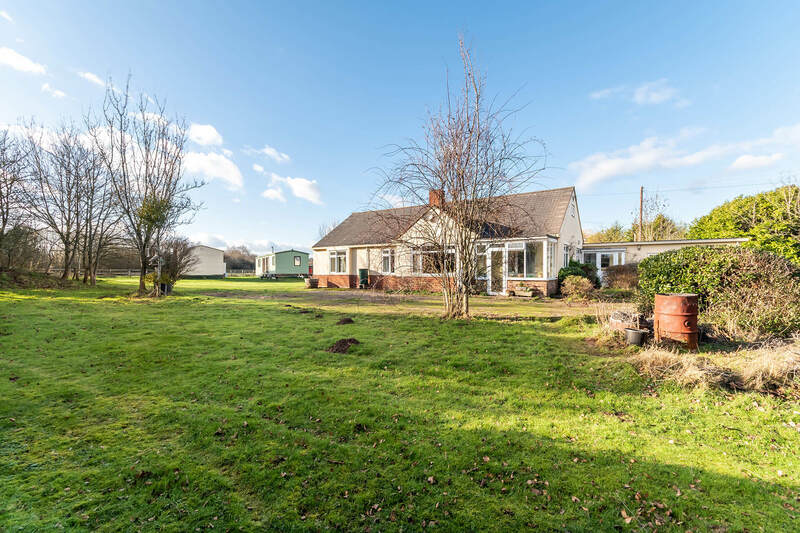 All with woodland boundaries and scenic views. 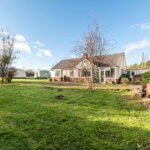 The property and land is subject to a modest uplift clause of 25% payable to the current owners of any uplift in value of the property or any of its land in the event of residential planning permission being gained from the date of sale completion for a period of 20 years. A Purchaser's Privilege of 1.0% (no vat) of the agreed purchase price is payable by the purchaser upon completion in addition to the agreed purchase price.